Weddings and funerals do not offer adequate time to appreciate or explore the architecture, history and liturgical emphases of a church. 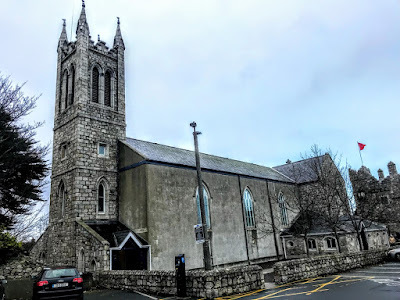 I was in the Church of the Assumption on Castle Street in Dalkey, Co Dublin, in recent years for a nephew’s wedding and for the funeral of Maeve Binchy in 2012, but neither occasion was an appropriate time to wander around the church and the church grounds. 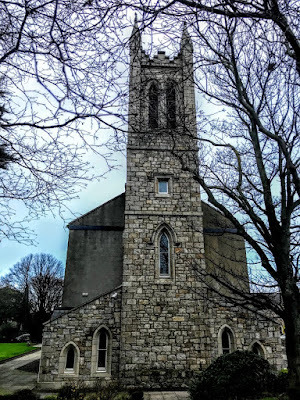 On New Year’s Day [1 January 2019], as I strolled along Castle Street in search of the seven mediaeval castles of Dalkey, I decided to take some time in the Church of the Assumption, which stands opposite Dalkey Castle and the ruins of Saint Begnet’s Church, and beside Archbold’s Castle. The Church of the Assumption is a Gothic Revival, granite Roman Catholic Church, at the west end and on the south side of Castle Street. It was built in 1841 and reordered and partially rebuilt 50 years later, is set on a north-south axis with the chancel located at the north end or Castle Street side. By the beginning of the 19th century, the Catholic population of Dalkey increased due to quarrymen and workers providing granite for the pier at Dun Laoghaire. The Dublin to Kingstown Railway in 1834 brought more worshippers. Canon Sheridan called a meeting of Dalkey residents in March 1840. A site opposite the ruins of Saint Begnet’s was leased from Thomas Connolly, and a new church was built in 1840-1841. 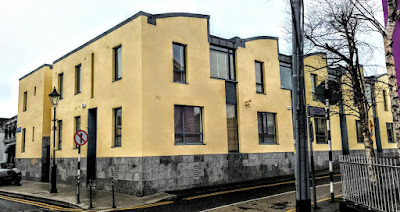 Later, Thomas Connolly’s son, Canon James Connolly, Parish Priest of Saint Kevin’s, Harrington Street, Dublin, would donate the site on Castle Street to the new church in Dalkey. The church was dedicated on 26 September 1841. It is a simple Gothic Revival structure in local granite and render with a square bell tower. 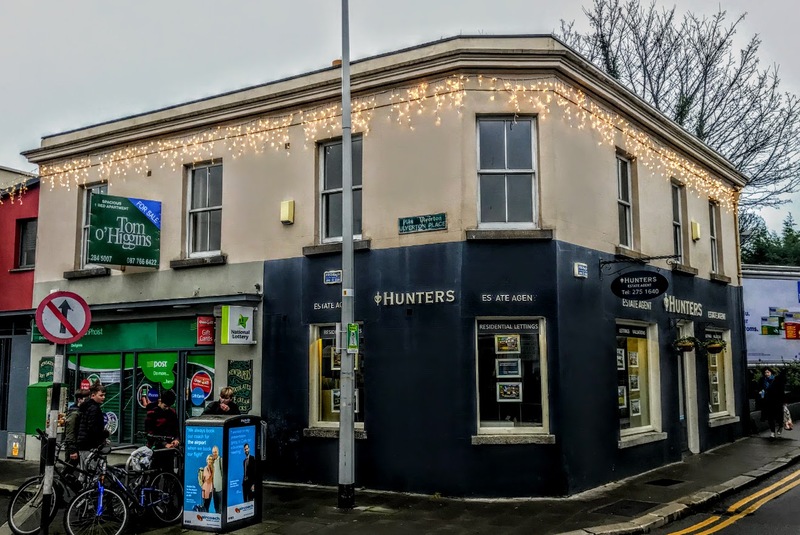 It is on Castle Street opposite the ruins of the tenth century Church of Saint Begnet, woman and abbot, who also gives her name to the church on Dalkey Island. At first, the church consisted only of the present nave, the altar was where the gallery is today, and the main door was 10 metres back from Castle Street. The humble walls were pebbles, mortar and earth, coated in plaster. As Dalkey grew in the 1880s, Canon George Harold, Parish Priest of Dalkey (1880-1894), decided to extend the church out towards Castle Street and to relocate the sanctuary at the north end. Cut granite was used to build the new transepts and sanctuary, and the handsome, three-stage, stone bell tower was added at the south end of the church. The roof was raised, and a fan-vaulted ceiling was put in place. A gallery was built and fitted with a two-manual organ by the Dublin organ-builder, John White. The High Altar, altar rails and baptismal font were designed in 1900 by AWN Pugin’s son-in-law, George Coppinger Ashlin (1837-1921), and the work was carried out by Edmund Sharp (1853-1930), who at this stage was producing altars at the rate of almost one a week in his workshop at Brunswick Street, Dublin. Two angels by Mayer of Munich flank the reredos. Side shrines with statues of Our Lady and the Sacred Heart in white marble are dated 1897. The mosaic work on the sanctuary floor was carried out around 1915 by Ludwig Oppenheimer. The marble panels in the sanctuary were added in 1932. The Last Supper in marble relief on the front of the altar by Ashlin and Sharp has survived the post-Vatican II liturgical changes. The stained-glass windows over the altar are French in origin. The Assumption of the Blessed Virgin, which gives its name to the church, is in the centre. Saint Patrick and Saint Brigid, the patrons of Ireland, flank her to left and right. 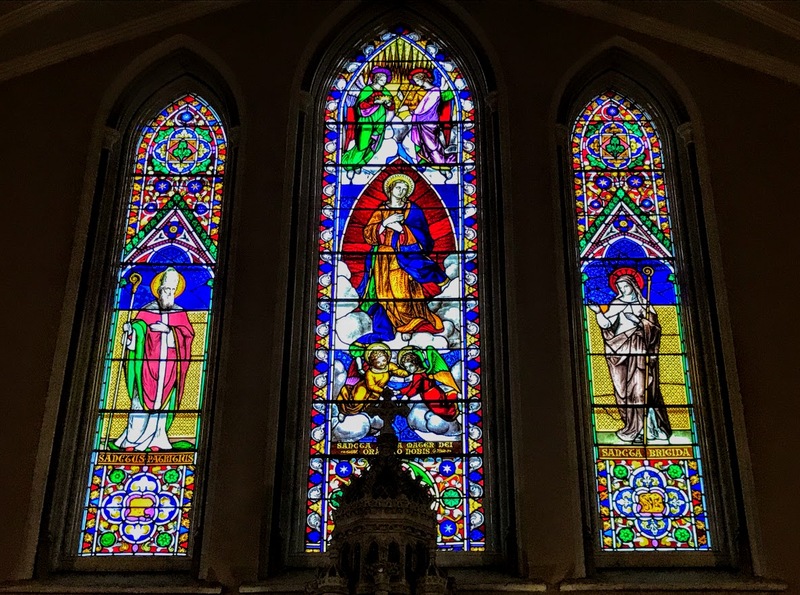 These windows were restored by Abbey Stained Glass of Kilmainham in 1991. Above the fine marble baptismal font is a painting of the Baptism of Christ executed in Rome in 1911 by G Bravi. 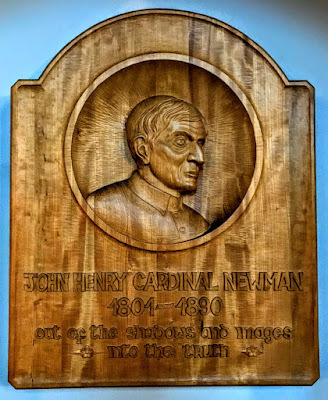 May he support us all the day long, till the shades lengthen and the evening comes; and the busy world is hushed, and the fever of life is over, and our work is done. Then in his mercy may he give us a safe lodging, and a holy rest and peace at the last. The church was renovated in 1991 for its 150th anniversary, and the porches and sacristy were re-ordered. The icon on the Baptistry wall of Saint Begnet, Abbot of Dalkey, was written by the iconographer Colette Clarke and was installed in 2010. This icon was commissioned by Father John McDonagh, a former parish priest, to mark the Feast of Saint Begnet and was sponsored by parishioners Finbar and Maeve Breathnach. Little is known about the life Saint Begnet, or Becnat, patron of Dalkey. She is recorded in the 11th century genealogies of Irish saints as Becnat, daughter of Colmán, son of Āed, possibly a member of the aristocratic family of Dál Messin Corb, which ruled over north and central Leinster until 700 AD. When they lost control of these territories, their rule was confined to the Wicklow Mountains, but they maintained control of some of the most important ecclesiastical offices in Leinster and Saint Kevin of Glendalough was also a member of the Dál Messin Corb. 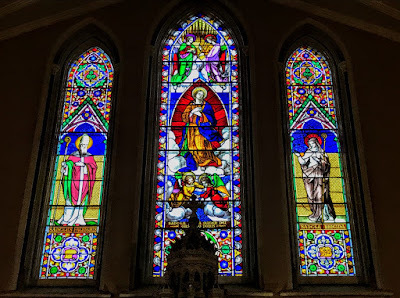 Saint Becnat and her churches in Dalkey and Dalkey Island, belonged to the familia Coemgeni, ‘the family of Cóemgen, and her churches ultimately came under the protection of the monastery at Glendalough. Before working on this icon, Collette Clark researched and read about Saint Begnet and life in the seventh century when she lived. She selected the final image of Saint Begnet as a young woman of noble birth, with Celtic looks and her head covered. The head covering was fastened with a brooch modelled on the Killarney Brooch (ca 800 AD). The garment colours come from the image of the Virgin Mary in the Book of Kells. The neck decoration is from the Book of Dunna and the pattern for the inner garment is from the Book of Kells. The bracelet is based on gold bracelets in the National Museum of Ireland and the cross on the bracelet is based on the cross in the grounds of Saint Kevin’s Church in Glendalough. In the icon, Saint Begnet holds a staff in her right hand to show she is the shepherd of her people and in her left hand she holds the church she founded on Dalkey Island. Finally, the name, Naomh Begnet, was placed on the panel using the Uiscial Script as this script was used by Celtic monks from the fifth to eighth centuries. The finished icon was then left to dry for some time before it was varnished using shellac varnish. Saint Becnat’s feastday is on 12 November, as recorded in the late mediaeval Book of Obits of Christ Church Cathedral, Dublin. Two days later, 14 November, is the feastday of Saint Lawrence O’Toole, Abbot of Glendalough and Archbishop of Dublin, who died in 1180. The proximity of this church to Castle Street and its relationship with the nearby mediaeval buildings, as well as its three-stage stone bell tower, give a unique historic character to this part of Castle Street. 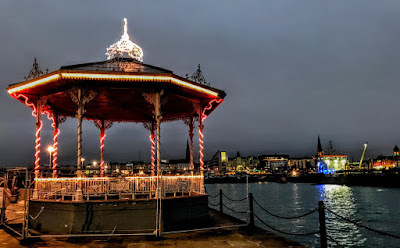 I started the New Year as I mean to continue 2019, with a brisk walk by the sea on the East Pier in Dun Laoghaire. 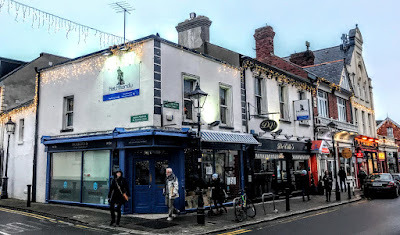 But first, two of us went for a walk yesterday afternoon [1 January 2019] through the narrow streets of Dalkey, Co Dublin, and along the Main Street, in search of a café that was open on New Year’s Day. Instead, we ended up searching for the seven mediaeval castles that were said to have once lined Castle Street, the main street. The best-known of the seven castles of Dalkey is the Goat Castle or Dalkey Castle, which once served as Dalkey’s Town Hall, and is now Dalkey Heritage Centre. The only other surviving castle on Castle Street is Archbold’s Castle. The five other castles named on visitor boards in the town were: Dungan’s Castle, Yellow Castle, Wolverton Castle, House Castle and Black Castle. Dalkey takes its name from Dalkey Island. Originally in Irish, it was named Deilg Inis, meaning Thorn Island. This was later changed to Deilg-ei by the Vikings, to Dalk-ei by the Normans, and later anglicised to Dalkey. One of the earliest sites in Dalkey is Saint Begnet’s Church and graveyard, beside Dalkey Castle and opposite Archbold’s Castle. This is one of two churches in the area dedicated to Saint Begnet, a local saint – the other is on Dalkey Island. A wooden church stood on the site from the sixth or seventh century. The earliest part of the current stone church, dates from the tenth century. Various additions to the church over the centuries include: the twin bell tower, the chancel and chancel arch in the 13th century. The boundary walls of the church are modern, but much of the surviving structure is Anglo-Norman. The east and west windows, the belfry and, possibly, some of the entrances and other parts of the fabric are late mediaeval, dating from the 15th or 16th century. The church seems to have survived into the 17th century, but it was described in Archbishop Bulkeley’s visitation of 1630 as ruinous with no roof on the chancel. The area around the church may have been used as a burial ground from the 13th century. Most of the burials were in unmarked graves. It is said that up to 2,000 people were buried in here over the centuries. The earliest stone is of a man called Cornelius in 1738. The most recent is Kavanagh in 1930. Dalkey grew as a small village around Saint Begnet’s Church. Its later growth and importance were influenced by the anchorage provided for large Anglo-Norman ships in Dalkey Sound. 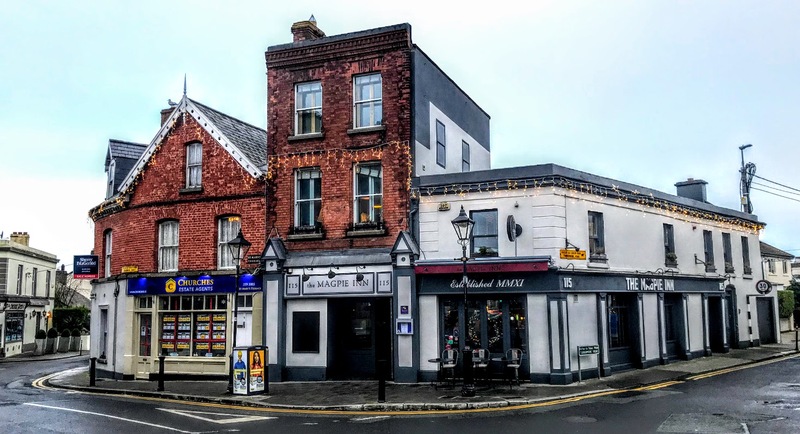 In the Middle Ages, Dalkey served as the port for Dublin, and large ships anchored and unload their cargoes in the deep, sheltered waters of Dalkey Sound. 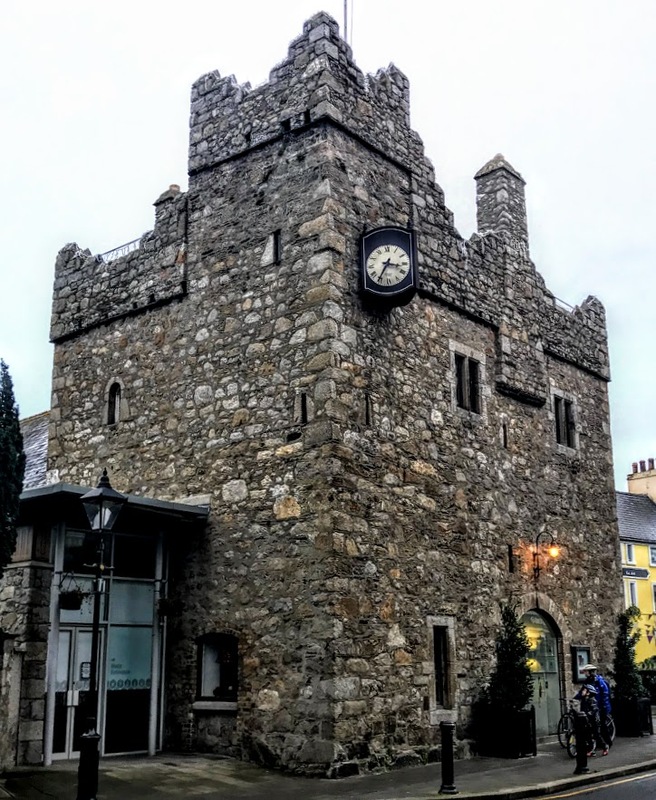 The seven castles or fortified town houses were built along Castle Street from the 1390s on to store goods unloaded in Dalkey. Similar buildings can be seen in other Irish towns and cities, including Cork, Dingle, Dundalk, Carlingford, Ardglass, Ardee, Termonfeckin, Newcastle Lyons, Naas and Thomastown. The Dalkey castles seem to be somewhat smaller than their contemporaries in other towns, and they were less ornamented. They were used primarily for storage and defence. Such buildings could also indicate wealth and prestige. The castles in Dalkey may have been improved and rebuilt under a 15th century act that provided a grant of £10 was offered to build castles to defend the Pale. The castles all had defensive features to protect goods from being plundered, including machicolations, murder holes, battlements and arrow-loop windows. Dalkey Castle was called the Castle of Dalkey in the Middle Ages. Later, in the mid to late 17th century, it was called Goat Castle when it was the property of the Cheevers family of Monkstown Castle. It retains a fine example of barrel-vaulted ceiling and traces of the wicker work that supported it. Niches have been exposed on the walls where precious goods may have been stored. 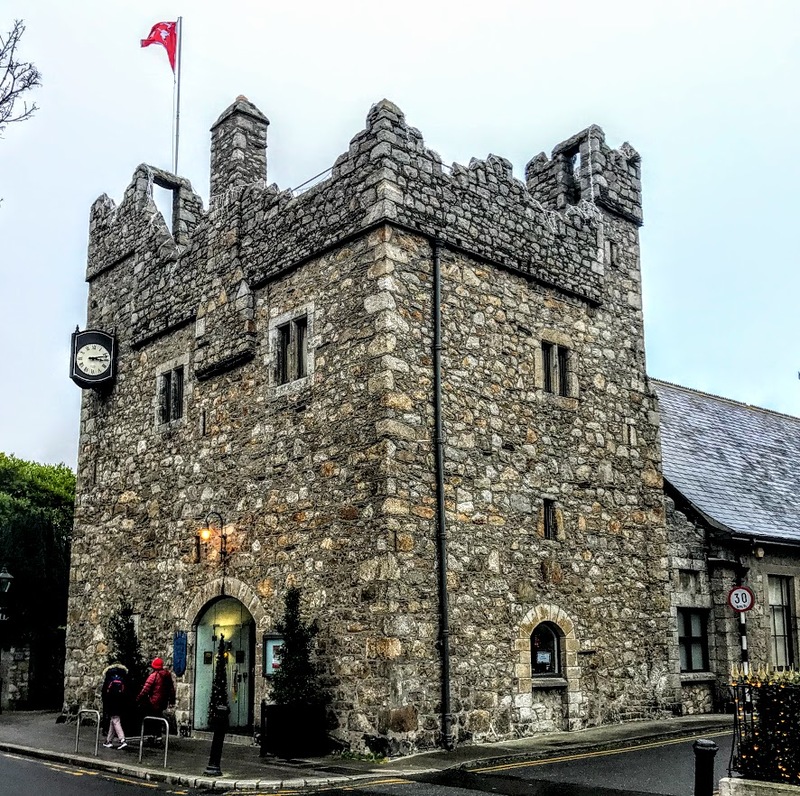 The castle is now the integral entrance to both the Heritage Centre and Dalkey Town Hall. 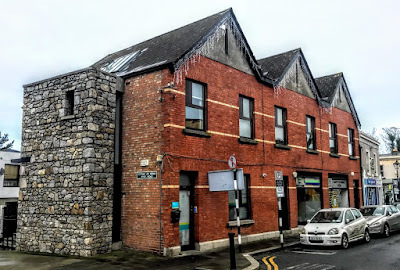 The former living quarters upstairs became a meeting room for the Dalkey Town Commissioners in 1869. 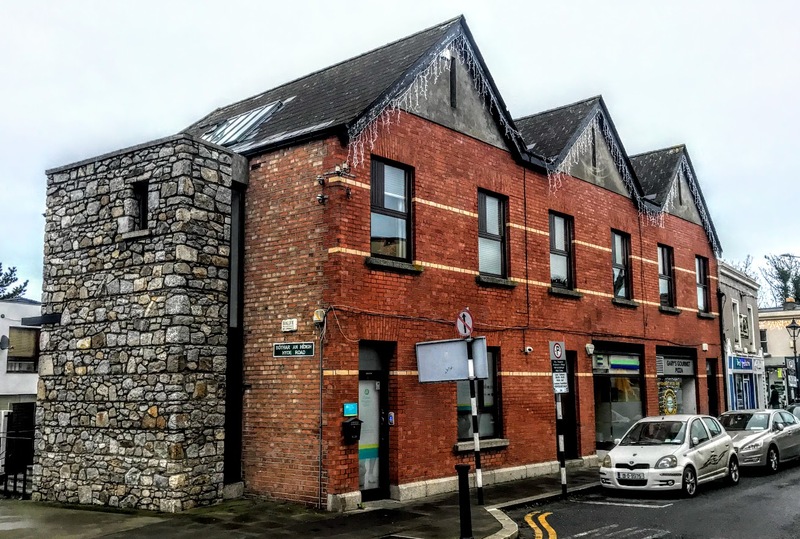 It continued as a meeting room until 1998 when it was incorporated into Dalkey Castle and Heritage Centre. Archbold’s Castle is not open to the public but is in a good state of repair, apart from the battlements. The only families recorded as being associated with them date from the late 16th century. John Dungan was a merchant and government office-holder and the Barnewalls and Walshes were local gentry. The Talbot family of Feltrim and Templeogue also held property with interests in Dalkey from the early 13th century. John Dungan, second remembrancer of the exchequer, held this castle in 1585. James Kennan leased this castle for 21 years in 1645 for 30 shillings. This lease shows the castle was on the south side of Castle Street and can reasonably be assumed to be the one now known as Archbold’s Castle. The castle was recovered by the Dungan family at the Caroline Restoration, but they lost it again at the Williamite confiscations. The entrance to the west of Dalkey was through a gateway secured by two castles of which few or no traces remained, Dungan’s Castle and Yellow Castle. 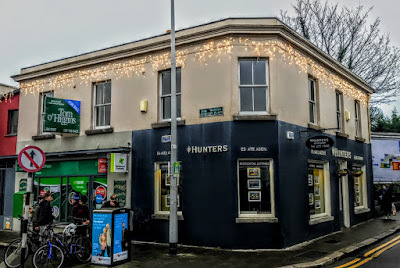 Dungan’s Castle, on the corner of Castle Street and Hyde Road, was the family home of the Dungan family, who held the title of Earl of Limerick and also owned Archbold’s Castle. The title of Earl of Limerick was given to Sir William Dongan, 4th Baronet in 1686, with remainder, failing sons of his own, to his brothers Robert, Michael and Thomas and the heirs male. He was made Viscount Dungan, of Clane in Co Kildare, at the same time. An inquisition later found that William Dungan, Earl of Limerick, had two castles, six messuages and gardens, seven acres of arable land together with meadow and pasture, totalling 74 acres, in Dalkey. His only son Walter Dungan, Viscount Dungan, was killed at the Battle of the Boyne and Lord Limerick was succeeded according to the special remainders by his brother Thomas Dongan, 2nd Earl of Limerick, who was Governor of New York from 1683 to 1688. All three titles became extinct when he died in 1715. 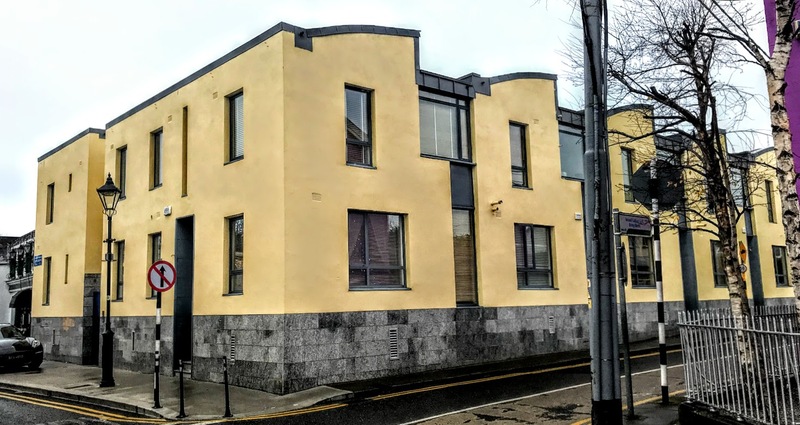 The Yellow Castle stood opposite Dungan’s Castle, on the corner of Castle Street and the present Dalkey Avenue. Wolverton Castle stood on what is now the corner of Castle Street and Ulverton Road. It was used as a forge in 1818. Tudor House off Castle Street, was built by a Dublin surgeon, Dr Richard Parkinson, who bought the land in 1843. To complete his new house, he bought Wolverton Castle, one of the seven original tower house castles of Dalkey, and used the castle’s granite boulders to build his grand and imposing house. House Castle stood where Nos 24-25 Castle Street now stands, on the corner of what is now Saint Patrick’s Road. Black Castle, at the junction of Castle Street and Railway Street, was once owned by King James II. Some of the castles in Dalkey were the property of the Walshe and Barnwell families. 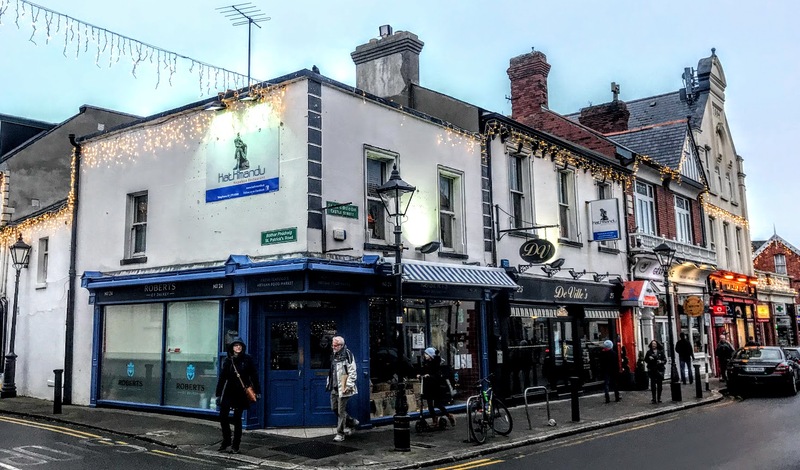 Their history during the Cromwellian era and after the Caroline Restoration settlements is difficult to trace, but James, Duke of York, later King James II, acquired extensive properties in Dalkey at the Restoration. The existence of east and west gates predicates some form of walling on those sides, perhaps more rudimentary than the southern rampart and not extending very far in a northerly direction. John Allen of Stillorgan bought 19 acres in Dalkey in 1703, including four castles and several cabins formerly the property of King James, all for £151. So Dungan’s two castles and King James II’s four castles amount to at six castles still standing in Dalkey at the end of the 17th century. Brooking’s map of the bay and harbour of Dublin, published in 1728, shows Dalkey as a fortified ring, perhaps intended to indicate walls. But this may be a flight of fancy on the mapmaker’s part. The walls were gone by 1770 but there may have been slight remains of the west gate. Writing in 1768, Wilson mentions seven castles in Dalkey. He describes six and says the seventh castle had been demolished some years previously. Lewis found three castles in use in 1837, one as a private house, the other two as a store and a carpenter’s shop. The 1843 Ordnance Survey map shows five castles, one to the east of the ruined church, which is clearly the Goat Castle, later the Town Hall, another site further east, a castle and a site to the west of the church and a castle on the south side of Castle Street, which is Archibold’s Castle. 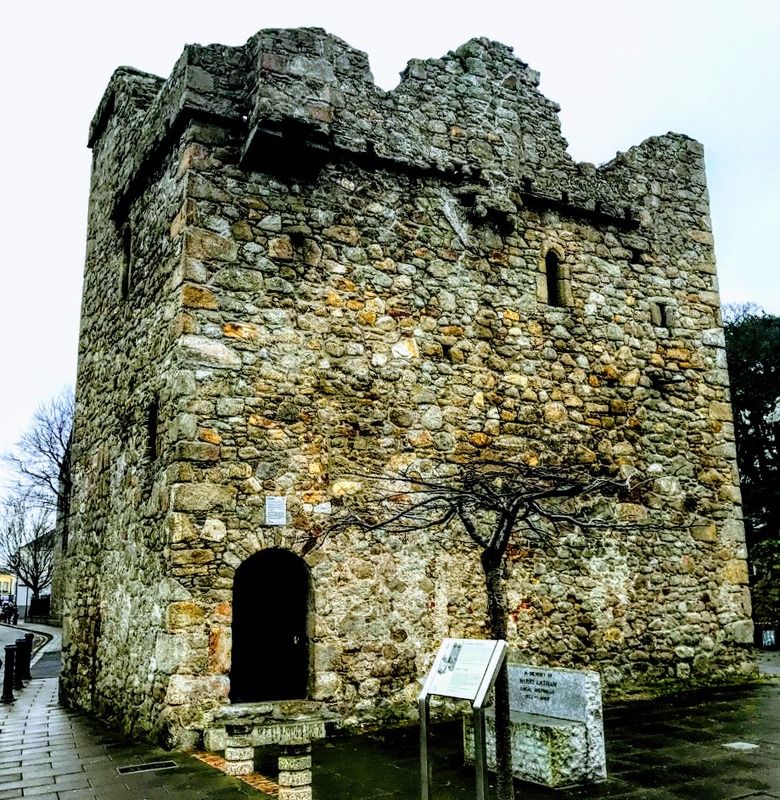 Today, Dalkey Castle or Goat Castle is the only one of Dalkey’s seven castles open to the public, and Archbold’s Castle is still standing though not in use or open to visitors. We found the sites of the other five castles following the signs on Castle Street and the marks on the streets and the movements.